Starting at the gate of the 5 star Porto Carras resort, you can walk the full 7 km to the end of the resorts territory and then you must turn back and be out before sunset. 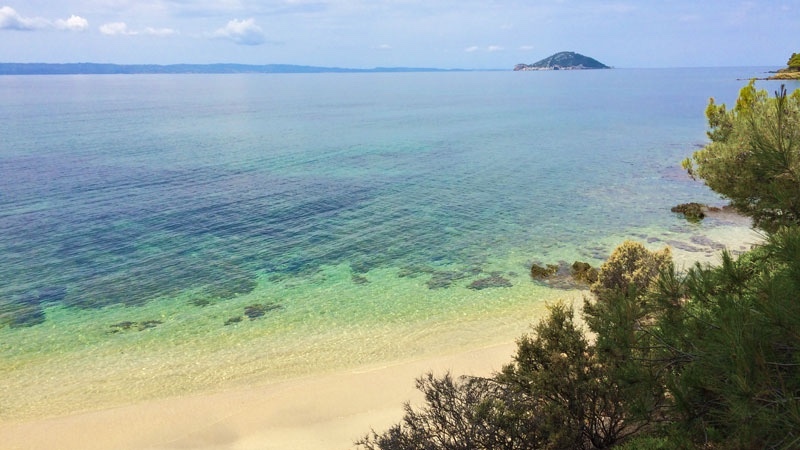 This coastal walk will bring you to some beautiful beaches that are completely isolated. There are at least 25 beaches and coves on the property, which are sometimes enjoyed by boaters passing by. The walk is scenic and really easy. The beaches are beautiful, but it is not allowed to swim there.